News, interviews, and a contest! I’ve been a busy, busy girl. No, I haven’t finished up The Spoil of Z-K yet, since illness and injury have kept creativity out of my reach for the moment, but I have been doing other things. Tomorrow I will sign a lease on a brand new apartment, where I’ll be moving in March. It’s one town over, closer to my job, and within five minutes of my grocery store, two CVS’s (what luxury!) and some nice restaurants, not to mention a big park with a lake to swim in and several of my favorite stores. I’ve been living in my current place for more than five years now, and although I will always cherish it for being my first apartment, in many ways it’s simply time to move on. I will also be taking on a feline roommate in this new apartment of mine, and I couldn’t be more excited. I’ve missed having some kitty companionship since I moved away from home, and I think it’s finally time for me to commit to a freeloader of my very own. This is Oliver, a.k.a. 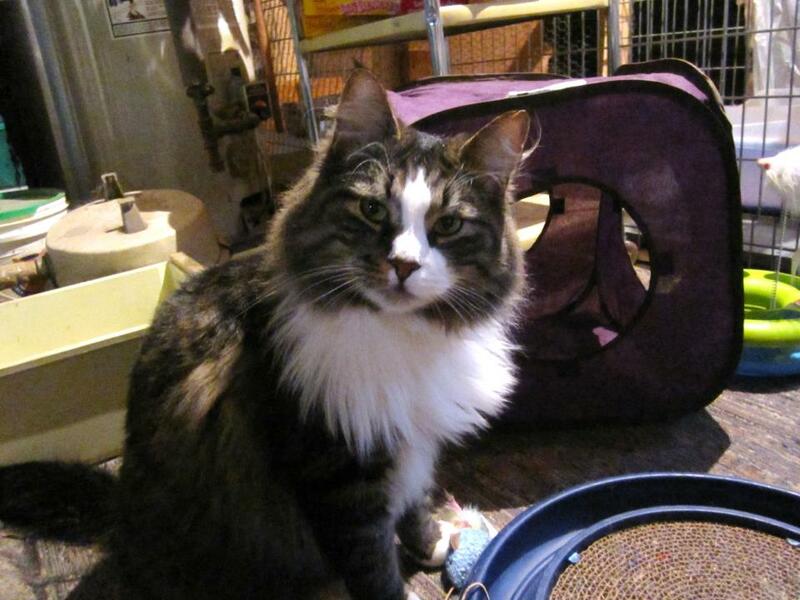 Spike, a (probably mostly) Norwegian Forest Cat and such a sweet, lovely, playful boy. He’s a rescue from a local adoption program who very luckily turned up at the back door of a foster cat family about a year ago. I probably won’t be able to bring him home until April, but I know he’s being well taken care of in the meantime. You can all look forward to many, many, many more cat pictures in the months to come. Many. But I haven’t completely stopped all my book promotion work due to staring at his mischievous little face for twenty-four hours a day. Did I say “little”? He’s 18 pounds. But anyway. I had the opportunity to do an interview with Rachel Herriman, and spoke to her about The Last Death and The Spoil of ZK, as well as The Paper Flower and some of my wise words about the writing and self-publishing process. At the bottom, you’ll see some information about a giveaway. 4. Send an e-mail to rachel@rachelherriman.com with your Twitter handle and Facebook name to ensure an entry! You can do all that, right? Easy as pie. If you already follow me on Twitter, then don’t worry about that step – it still counts. The last day for entry is January 31. A winner will be randomly chosen after that, assuming there are any entries this time. Good luck!